KUALA LUMPUR (Oct 15): As part of its rationalisation plans, Keretapi Tanah Melayu Bhd (KTMB) is expected to return to black with a profit of RM33.1 million in 2015, said Prime Minister Datuk Seri Najib Razak today. As part of KTMB's turnaround plan, Najib said the country's largest rail service is also looking at rationalising its services by discontinuing unprofitable routes, and possibly charging higher fares for cargo services and ticket prices for passengers using its rail services. There are also plans to set up feeder bus services at the various train stations in the country as part of the turnaround initiatives, he added. 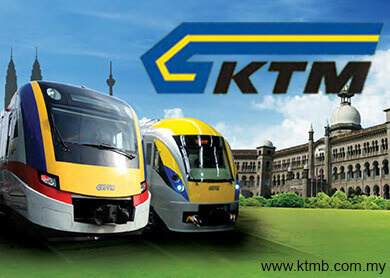 "With the implementation of the initiatives, KTMB is expected to record a profit if RM33.1 million in 2015. Therefore with better financials ahead, KTMB is able to sustainably operate and reduce its financial dependence on the government," said Najib, who is also the Finance Minister, in reply to a written question by MP Gopeng Dr Lee Boon Chye at Parliament today. KTMB, which is owned by the Finance Ministry, has been recording losses since its corporatisation in 1992. Since then, KTMB had until December 31, 2013 (audited accounts) accumulated losses amounting to RM2.5 billion.